In Nukula, nurturing your physical system is also important. You will be offered tasty, fresh, organic food from local producers. The dining location alternatives are plenty and you can participate in the process of collecting and preparing the food if you wish to. 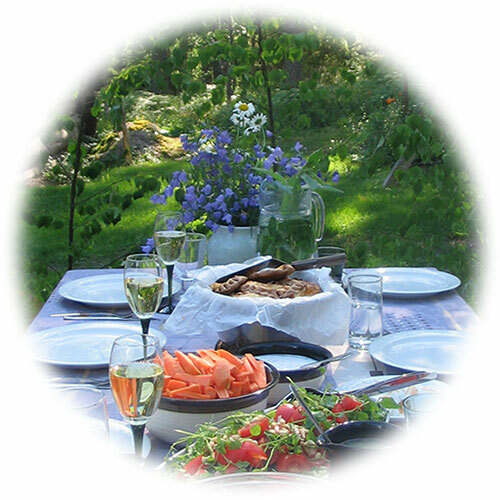 In Finland this means, that meals are enjoyed in restaurants or cafes. In Nukula that really means to prepare the meals and eat it under the open sky. Regardless of summer or winter meals are enjoyed mainly at the open fire. 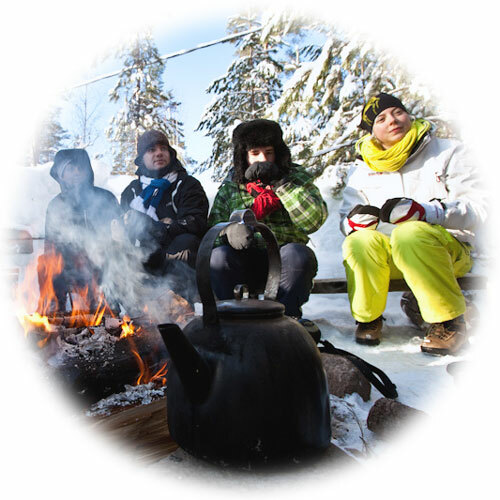 Soups, crepes, barbecues, smoked food, … and on top of everything coffee prepared on the flames. In the Old Cottage and in Paamiska meals are served inside. However by all means no one would be offended if you slip away to enjoy your meal outside. The ingredients used in the preparation are organic, locally produced, collected from nature, home-made and are slow food. Our water is fresh and flows from a local spring water well.